Support Maine Public Libraries by donating via your Maine Income Tax form using Schedule CP Charitable Contributions and Purchase of Park Passes. Donating $5 or more is this easy. Locate Schedule CP which is used for voluntary charitable contributions to any of the organizations listed. [Schedule CP is also used to purchase a park pass for entry into Maine State Parks]. Look for Maine Public Library Fund in section A. Choose to donate _$5 _$10 _$25 or more. Maine taxpayers using the I-File system will also see the Maine Public Library Fund on the Schedule CP voluntary contributions page. If you have any questions, see Maine Revenue Service (MRS) or consult your tax advisor. How do these funds help? Boothbay Harbor Memorial Library $2,500 Large-print book club for a nearby retirement community. Lubec Memorial Library $2,500 Local oral history video series. Washburn Memorial Library $2,141 Lego program for local students. Orono Public Library $1,800 Culture Packs program. Norway Memorial Library $1,500 Community art project. Skowhegan Free Public Library $1,360 Youth robotics and coding program. Bonney Memorial Library, Cornish $1,000 Young artists sketching program. Dyer Library, Saco $900 Digitization of local historical photographic collection. Lincolnville Community Library $500 Method Writing Workshop. Mildred Stevens Williams Memorial Library, Appleton $450 Youth animation workshop. Stockton Springs Community Library $400 Weekly tai chi classes for seniors. 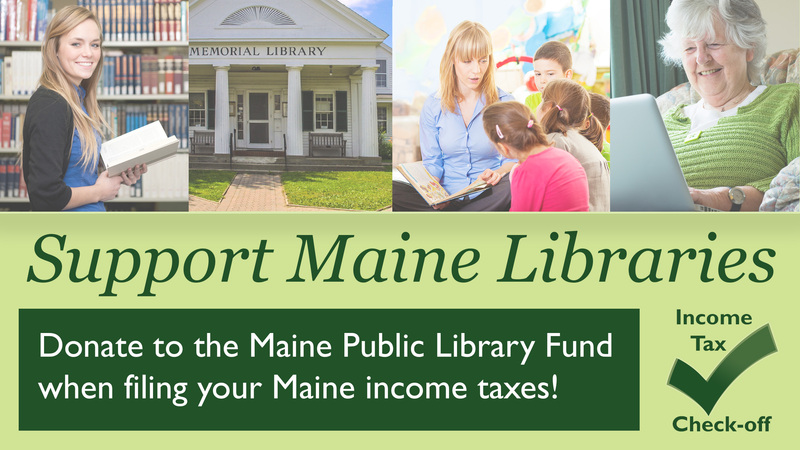 Visit the library resource page for more information on how your library can spread the word about the Maine Public Library Fund income tax check-off. Priority will be given to grants that benefit all or a significant number of Maine public libraries.